This article was first published in Investment Week on 21 July 2017, and is reproduced by kind permission. 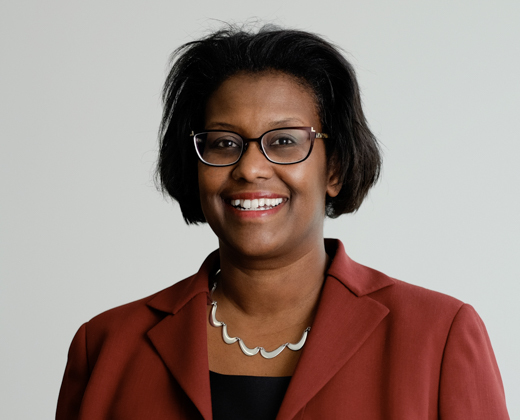 Rosalyn Breedy, corporate and financial services partner at Wedlake Bell, says UK asset managers should tackle their operating models to develop financial firms fit for the 21st century. The Financial Conduct Authority’s (FCA) Asset Management Market Study, published last month, acknowledged the vital role the UK asset management industry plays in managing the savings and pensions of millions of people, allocating capital, performing corporate governance and contributing positively to the UK economy. The FCA launched its investigation of the industry in November 2015 because it wanted to ensure that the market worked well and the investment products consumers use offer value for money. • A finding of weak price competition in a number of areas of the asset management industry with a particularly adverse effect for retail investors. It found evidence of high levels of profitability with an average profit margin of 36% amongst firms sampled. • On average, neither actively managed and passively managed funds for retail and institutional investors outperformed their benchmark after fees. No clear relationship between charges and the gross performance of active retail funds in the UK was identified. Not all persistently poorer performing funds were merged or closed and it could take a long time for the worse performing funds to be merged or closed. • There were concerns about the communication of fund objectives to retail investors with many active funds offering similar exposure compared to passive funds but some charging significantly more for this. The FCA considers value for money for asset management products typically to be some form of risk adjusted net return. This can be broken down into performance achieved, the risk taken to achieve it and the price paid for investment management services. • Investors’ awareness and focus on charges was mixed and poor, with many retail investors not aware they are paying charges for their asset management services. However, many institutional investors and some retail investors are increasingly focused on charges. • Significant differences in both the behaviour and outcomes of institutional investors were identified. A number of larger institutional investors were able to negotiate effectively and to achieve good value for money. A long tail of smaller institutional investors, typically pension funds, found it harder to negotiate with asset managers and generally relied upon investment consultants when making decisions. • Concerns were identified in the investment consulting market including relatively high and stable market shares for the three largest providers; a weak demand side; and conflicts of interest. • A concern that retail investors do not appear to benefit from economies of scale when pooling their money through direct-to-consumer platforms. Concerns were also raised about the value retail intermediaries provide. An overall package of remedies has been proposed by the FCA which is designed to improve competition, and protect those least able to actively engage with the asset manager. The FCA considers that these measures are proportionate and will increase the efficiency and attractiveness of the UK asset management industry. The intention is to develop a coherent framework of interventions which would sit with Markets in Financial Instruments Directive (MIFID) II, Packaged Retail and Insurance-based Investment Products (PRIIPS), and the Senior Managers and Certification Regime (SMCR). The FCA has also recommended to the HM Treasury that investment consultants are brought into the regulatory perimeter pending the outcome of the provisional market investigation reference to the Competition and Markets Authority (CMA). Concerns have been raised by the industry as to whether the new regulations proposed would be good for the UK investment market or whether this new regime will be too tough on asset managers. The added pressure of Brexit is creating new challenges for asset managers such as high compliance costs and changes to how funds can be sold to non-UK investors. These concerns are misplaced, when the focus of attention in the industry should be the findings not the proposed remedies. In essence, the findings show that the retail and smaller customers most dependent on the industry are the least well served and that the industry is not practising what it preaches which is efficiency, effective allocation of capital and the winnowing out of poor performance. Common sense dictates that these issues should be tackled in a coherent manner and embrace the new rules, though it is true that recent years have seen an overwhelming pace of regulatory interventions which have been a strain on asset managers. The UK asset management industry should focus on addressing the efficiency of its operating model; strategic and appropriate use of technology and outsourcing; refining and improving its product range; and simplifying and driving down distribution costs. A gold standard could be achieved by the voluntary adoption of a fiduciary standard for those seeking to develop brands with significant and long standing value. Just as the automotive and publishing industries have had to adapt to market disruption, so the UK asset management industry could embrace these changes and tackle its operating model to develop financial firms fit for the 21st century. Not only would the UK retain its position as the second largest asset management industry in the world, but it could also become a mighty barrier to disruptors. For further information please contact Rosalyn Breedy.